I'm going to Chernobyl, and I'm taking a GPS/Radiation logger that I built with me. Early one Saturday morning in April 1986, a series of human errors led to the one of the worst and most memorable nuclear disasters in human history. Poor reactor design, inadequate safety procedures, and hubris caused an explosion to spread high levels of radiation thousands of square miles across the entire European continent. 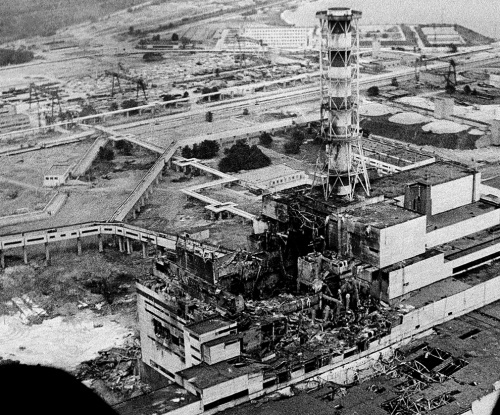 The disaster at Chernobyl is both fascinating and terrifying. Less than a week from today, I will be standing inside the Chernobyl Exclusion Zone with my wife Kim, David from IT, a backpack of photography gear, and a homemade GPS and radiation logger. Whenever I told anyone about our trip, I got a lot of questions like, "Is it safe", "What is the radiation like", or even, "Is that really a great idea?". Honestly, I didn't have any good answers, and still don't. Although people are allowed into Chernobyl for tours, the area still contains significant deposits of radioactive material. 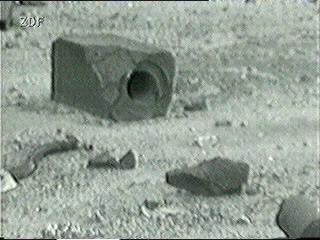 Chunks of the radioactive core were dispersed throughout the area, much of which remains embedded in the ground to this day. Some areas will have normal background radiation levels, and others will have levels several thousand times higher. To understand what all these readings meant, I first had to get a basic understanding of radiation levels. Here in Boulder, we see an average radiation level of 0.20 uSv/hour. Over the course of a year, we will see standard background radiation, radiation from the natural potassium in our bodies, and from other sources like x-rays. 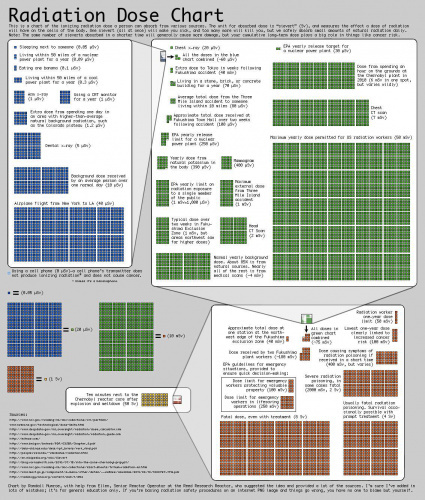 In a year, an average person is exposed to around 4mSv of radiation (or 4000 uSv). OK, now we're getting somewhere. So, what can I expect to see in Chernobyl? This chart gave me a little better idea what all the levels mean. I've seen readings from sources online that range from 0.2 uSv/hr (the same as here in Boulder) to over 200 uSv/hour (and sometimes even higher!). Because of the random dispersal of radioactive material, the range of radioactivity is massive. This got me thinking, what if there was a radiation map that could show hot-spots? I decided I wanted to build my own Geiger counter, GPS logger, and dosimeter as a project. So, I built the Leiger. 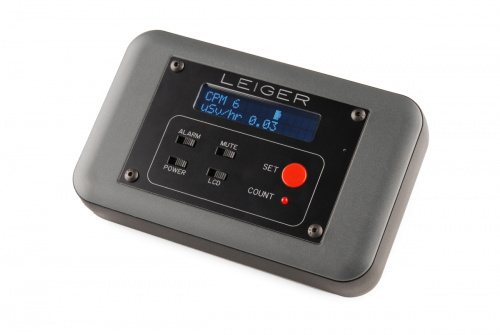 The Leiger combines an open-source Geiger counter (using a Russian SBM-20 tube), GPS module, OpenLog, and a PowerCell. When the unit is turned on, it will log the time, date, location, and all the readings from the Geiger tube. This should give me a radiation map of everywhere we travel inside the zone. I will have more details (including a detailed build tutorial, example code, and of course all the data) when I get back. For now, here's a quick video of what's inside, and how it works. I'm still not entirely convinced this trip will be safe, or is even a good idea. When I get back and look at the data, I'm not even sure what it will tell me. In my lifetime, Chernobyl will most likely never be considered 'inhabitable' or have safe levels of radiation. But, it's something I feel compelled to experience. Engineering Roundtable - Infrared Transmission with the IR Shark! For what it's worth, a nuclear physicist I know, as soon as the Chernobyl incident occurred, made arrangements to go there. He was on the site within a couple of days. He's still alive and well, or as well as can be expected at his age. Robert, I am a SparkFun fan and also an actual Health Physicist. The XKCD chart is fairly accurate as far as it goes, but calculating (or rather, estimating) dose from a G-M tube rate can get complicated. I will make two offers to you. First, when you return, I will be happy to calibrate your instrument against an NIST-traceable Cs-137 gamma field to provide an (after the fact) true conversion from count rate to exposure rate. Second, if you are able to grab any soil samples I can have them analyzed in our laboratory. If you are interested but can't grab my email from my user profile, reply here and I'll send you an email directly. Sounds good. From what I've found, the SBM-20 has a rate of 175.43 CPM for 1uSv. That's the conversion rate I'm using for calculating dosage, as well as uSv/hr and such. I am logging every single 'count' in a separate table on the SD card, as well as the converted rate. So, I can easily tell at the end of the trip how many 'counts' were received. I will definitely contact you when I get back. I would love to get a calibration! I'll email you know so you have my email as well. Thanks! Very, very impressive project. Well done indeed. And I loved the startup sequence. Hilarious. Youtube has a user named bionerd23 who has some really interesting videos about various nuclear pursuits. She knows her stuff but she's still a little crazy, but aren't the best scientists always just a touch crazy? Robert, nice build! So, you're not just a pretty face, eh? Safe travels to you and your bride. We actually do want you back - and not glowing! Very cool. I am looking forward to your tear down and data dump. One question - Correlation Factors? Corrected Counts Per Minute (CCPM).. Are they in the software? I've not heard those terms. Check a comment of mine elsewhere in this mess of comments. I'm using a rate of 175.43, which is specific to the tube, and geared towards gamma radiation. It's just done in code. However, I'm logging pretty much everything. After I get back, I can see how many total counts I saw, and then calibrate the unit, and get an actual dosage rate. tres cool. the execution of a portable, stowable logger concept with a simple UI is well done. Very good construction and attention to detail. It would be interesting to make a version of this that could be flown on a quadcopter so that you could sense the hot zones without exposing yourself to them directly. The logistics of getting permission to fly a drone over there might be challenging, however. it's a good idea, but most of the radioactivity is in the ground. a rover would be cool. something that scours the ground and logs it's findings. permission is easy. money = permission. The trouble with most radiation too, is that it dissipates in air REALLY quickly, like along a LOG scale if I remember my safety training correctly (I used to repair Liquid Scintillation machines used in bio-research). If you're way above the facility, you won't detect much unless there are floating particles of debris that are themselves radioactive, like dust from the plant or the (former) reactor. If you hovered the quadcopter low enough to read the radiation, I'd be worried about disturbing the debris at the same time. this. a rover would be the way to go. Maybe even some form of autonomous rover that could be given a route and go on its own then report back. Of course that may probably need to have some sophisticated programing so it doesn't get stuck/drive off a cliff etc! A quadcopter that could skirt the ground could be another solution. It could be set to be only a few feet from the ground, say head height. Using gps for location and utrasonics/radar for height. Haven't played with this myself, but I imagine it works quite well. nice package, very professional looking. Where did you find that housing? enclosure came from OKW enclosures, and the faceplate was modeled in solidworks and machined by front panel express. What model case was this? That's a really nice outer shell, little bit retro, but very clean. We'll be looking forward to the data you get when you come back, and the tear-down. I think this kind of unit (Radiation dosage vs geographical position) will find a market if it were to find it's way into production. Of course I find it somewhat ironic that a Russian tube is making its way back to the (former) motherland. I am curios to know what you trip data showed. If Spark Fun sold kit to make one of these I'd buy it. Been looking to build one for a while. Unfortunately, I don't think we'll be turning this into a kit any time soon, but you could order all the parts individually. Rob has most of them linked in the post, and you could also use one of our Geiger counter boards if you don't want to get a different one. If you go again take a bGiegieNano from Safecast with you. It records the data on a SD card and has GPS and 2inch pancake detector.. You can build it yourself for$450 preorders at http://medcom.com/bgeigie-nano/. I was/am part of the development team. For those who don't know, it's worth pointing out that dose is not simply how many 'counts' you get. Not all counts are equal, and those with a higher energy level are more dangerous. This is why an ingested alpha source is so dangerous - they have a far higher energy level than gamma and beta rays. There's also the question of penetration to consider as well. Yea, that is what I was wondering - how easy would it be to inhale radiating sources? Cesium-137 is the primary radiation source there and I think it can be transferred in air as dust. Maybe most of it has settled and that generally is not a problem now? I dunno, but I'd definitely wouldn't be doing donuts in the dirt parking lot. Saying comes to mind, in Russia you are a night light, well, as resident Russian, I'm going to tell you, be careful there (even though it's Ukraine, still close enough) enjoy weather and environment, as precaution, avoid going outside after dusk, no, there's no mutants there, however really nasty bipeds with brain capacity of a squirrell. now, if I recall correctly there's river near by Pripyat, if it's not BS catfish out there will eat anything you throw them, including cigarett buds and well, that's about nastiest carry-around thing I can think of, anyways, see if you can check it out. and as they say in Russia Ð¡ÑÐ°ÑÑÐ»Ð¸Ð²Ð¾Ð³Ð¾ Ð¿ÑÑÐ¸. In college, I had a physics professor that went over to survey the damage and help plan part of the cleanup. A fellow professor that went with him received a fatal dose by walking past an open doorway. He died 2 weeks later. (They were inside the reactor building at the time.) The outside areas are pretty safe to visit from what I understand though. There was an interesting documentary about the area on PBS's Nature a couple of years ago, dealing with how wildlife was doing in the Chernobyl region. There is a lot of footage of what the place looks like now. What are the chances of putting one of these on an RC car with a simple video camera and driving it around a few of the hotter spots? Not sure if they would let you. I had heard that you couldn't leave the main road through town at one time years ago. Also I wouldn't count on being able to get the car back through customs so I wouldn't get a car you couldn't leave behind. Also keep in mind that TSA et.al. do "sniff" for radiation. Don't know what their thresholds are but it might be worth knowing ahead of time before you get pulled aside at an airport and put on the watch list. Have fun. Hey Robert, please please please do not trust your guide in terms of safe and not safe. Oenly trust the geiger meter, and make sure it's always on etc. See the recent Anthony Bordain episode where the guide takes him over to that famous ferris wheel area saying yes its safe then turns on the geiger meter and "oh whoops, sorry!" it's off the scale and Anthony is really really mad (I would be too). and they have to run out of there. Be smart and good luck! Also, about the getting a soil sample (I think someone mentioned this above). I would "assume" you won't be allowed to touch the soil (or keep it) because of the radiation levels. Again, not trying to scare you from going or visiting, just be very smart and do your research and look up safety stuff about walking around (staying on the concrete, don't touch handrails, etc) before you go. Radiation varies a ton by area, even meter by meter as you walk down the road. Vegetation hold a lot more radiation than cement, so even choosing the right path can make a difference in exposure. Ionizing radiation doesn't travel well in open air, more or less following the inverse square law, so there certainly might be areas around the ferris wheel that are much more radioactive than an area just a few meters away. Ok that makes me feel a little better. I just stay safe and trust your instruments (I still say don't even trust the guide) and don't "push it" with The Beast. Best of luck! Love, Mom. I was a couple of times in ukraine. For me was interesting experiance even if i live only 1600km away. Roads are really bad in south part, how it is at the north I don't know. One part of ukraine speaks russian other ukrainian, but i must say i had no problems with nobody except at the border. If you like adventure it will be interesting, people are friendly. Well, the question about safety... Let's see from another point of view. how safe is to smoke, drink, eat unhealthy food... poisoning entire life? At least you will be able to get truth about radiation out there, coz i think most informations are top sectret to "protect" someones interests. I suggest you to learn some basic russian words, most of people don't speak english. I wish you great trip! Dont forget about that time (when Chernobyl did it's thing) there was an radiation alarm down stream from the Coors plant under the bridge that Coors plant uses for cooling water. It was both on the radio and news print at the time. Fun Fact is there a bunch of mines upstream of the Coors plant that mind gold, silver, and uranium. Huh? No mentions here about Andrew Huang's Open Source Geiger Counter? And the Safecast project? huh indeed. I knew of his, but it didn't have any bearing on my design. I'll post more details when I get back, but mine's a bit different than Bunnie's. Sorry: using the word 'here' I was referring to the comments section, not your original article. Of course one can build a souped-up Geiger counter, write about it and not mention other's design and projects. Also I wanted to raise awareness about Safecast project social aspect of data gathering and the 'internet of things' angle... Stay safe. This is a very interesting trip and technical project. I have a few questions: Do you have any idea of how accurate your GPS lock is while you are taking readings (16ft 50ft)? Are you logging this information? Your GM tube is good for gamma radiation. Do you have any provisions to measure other types (beta, alpha or neutron)? What are the sensitivity thresholds of your GM tube? Are you able to tell if it is getting saturated? And on another geek level: Have you watched the Chernobyl Diaries (bad as a horror movie, good as a tour movie) and will you get your picture taken near the ferris wheel, bumper cars, swimming pool and other places seen by other photographic trips? Have a good, safe trip and bring back some good data. wow, lots of questions here. I'll try and answer them. GPS lock is pretty accurate, and as long as I'm moving, it seems to be within a few feet or so. I've only tested it while driving so far, but it appears to be very accurate. I am logging pretty much everything: time, date, long, lat, elevation, CPM, dosage, uSv/hour, 10min average. the SBM-20 is highly sensistive to gamma, less so for alpha and beta. I'm really only concerned with gamma, but some beta will get measured too. but cesium-137 is the primary source of radiation there. the tube takes a LOT to get saturated. it's saturation point is way beyond what we will see, and my health would be in jeopardy if the tube gets saturated. I haven't watched chernobyl dairies, we're gonna watch it when I get back. It looks terrible, but it will be interesting to see where all they actually went for the movie. yes, I will get the standard shots with the ferris wheel and such, but also other locations that aren't as typical like the hospital, jupiter factory, school, library, etc. for sure. I've been doing abandoned photography for a little while and it tends to be like that. some shots are just too good to be true. I generally try and avoid anything that looks TOO good to be true. I actually didn't use uranium, I used welding rods with thorium. I also double-checked my background levels with other geiger counter feeds found online and it checks out. I'm more interested in relative readings based on area, rather than precise readings. we will have other geiger counters in the group to rely on as well. Robert, please e-mail me at my profile account e-mail. I'd like to try and hook you up with a very saavy nuclear/electronics engineer I know who has been to that site, knows people, etc. Hopefully, he can answer specific questions, and give you reccomendations as far as procedures, places to check out (where allowed), contacts, etc. This is just an offer to try and put you in contact with a friend who can help you get the most from the experience. Take care. Good article and nice project. Will it be sold for those who want to buy it? In my opinion Japan is more interesting at the moment with the 4 Fukushima cores all boring into the ground spewing out radiation. The world seems to have forgotten about that, yet it is something which cannot be stopped. If an earthquake causes the spent fuel pool at reactor #4 to fall over, this will become a real big deal for the world and for the USA. The Lousiana Bayou Corne sinkhole collapse is another disaster which cannot be stopped either. Chernobyl is relatively safe after all these years and they managed to contain the cores. The 4 cores at Fukushima will still be going in 1000 years. I guess this post will not be popular eh? I never sell any of my projects :-) You can buy similar devices, but they are relatively expensive (~$500+). Fukushima is no joke either, but it's different than Chernobyl. Since you are taking pics I am wondering if you plan on merging your radiation levels with the picture metadata. I imagine this would not be too hard if your images have both date/time and gps location information. Yeah, I could do that. Of course, where I'm standing isn't necessarily what I'm taking a picture of. And since the radiation can vary by the foot, taking a picture with a long focal length could mean I'm taking a picture of something 10-50 feet away from where I'm located, so I'm not sure how relevant the data would be. I do plan on taking pictures of my location with the reading from the counter at the same time, to get a better idea of the actual levels at my current location. You should feel compelled to put this in a quadrocopter that can sweep a larger area and keep you safer! You should probably check the local laws before you go. Devices like GPSes and Geiger counters are restricted in some countries and may even be considered tools of espionage. Plus, remember that you'll have to explain it at customs, and US customs sometimes has their own radiation detectors to catch nuclear terrorists. Just do your research before you go, that's all I'm saying. Forgot that Chernobyl is not in Russia, but you should make sure there's no issue with your project in Ukraine. Make sure you wife takes a 'rabbit test' before you go and cancel the trip if it's positive. You wouldn't want to have kids with two heads or three feet. Maybe you both should wear lead underwear as well. Actually, you'll probably pick up a higher dose during the trip there and back (especially if you're flying Aeroflot) then during your short tour but why take chances? This post is simply a "hey, I built a thing, and here's why". I didn't intend to fully disclose all the information I've culled through the past 6 months planning this trip. The graphic is great and has a lot of interesting information, so it's good for the purposes of this post. I full understand where it came from and what purpose it serves. Very nice job on the Leiger. It is a great example of pulling together existing component modules into a unique new application. I look forward to the tear-down to see how you got that professional looking case/front panel. Looks like it will be an awesome trip. Are you sure you don't want to take a longer lens? The max in the picture is 100mm. I would at least want my 70-200 for such a trip. Have a great time and get home safe. I rarely shoot that long. In the type of photography I do, I have the luxury of just moving closer to objects. The exception might be reactor 4, but at 200mm, you'd have to be pretty far away to use 200mm. I've found 100mm is sufficient for me. I used to have a 70-200mm, and rarely use the long end. I sold it and bought the 100mm and haven't looked back. Different strokes... ;-) That's the nice thing about creativity. We can each take a different approach and even if the results are similar they are uniquely our own. I look forward to seeing the photos you take on the trip. Quite an adventure! Good luck! I would suggest taping a second formatted micro SD card (and maybe a third...) inside the box for emergency backup. I have had a couple data loggers fail because of SD card failure. Other than that, your design looks pretty good. Looking forward to seeing your data. My camera has dual SD slots, and I'll likely be saving images to two cards simultaneously (akin to RAID 1). From what I've read the medium is pretty robust in harsh radiation environments (they're often used in cubesat style projects), but it's better to be safe than sorry, right? Did you take additional precautions to wrap the storage medium in Lead, steel ETC? If you do happen to enter a area with high neutron radiation solid state memory can become corrupted. Additional a redundant storage would also be a good idea. Interesting. How could this be avoided in another design? Dual microcontrollers, each one checking the other's sanity/flash periodically? Writing to two cards at once, like stilldavid's camcorder? Two processors is no good. If they don't match, which one is wrong? You need three, so two will match and one will be different. But I suspect Robert is right about it not being likely to come up. If he does encounter that much radiation, he'll have other worries than his logger. The one with the valid checksum/hash. I won't be experiencing any levels where that would be a concern. I thought about backup, but decided against it. It could certainly come back and bite me, but for 4 days worth of text logging, I feel pretty comfortable without a backup. Personally, I think it'd be fascinating to visit there, but only with the proper protection/precautions. I don't know why you'd want to go there. I'd like the experience Chernobyl with about as much enthusiasm as I would a gun shot wound. To each their own I guess. Good luck. As an interesting test, try running the radiation logger during your flight there and back. My understanding is that at the high altitude that jet planes fly, you get more cosmic radiation from space, and I would think that would show up some too. It would be a good comparison. check the video. I have it configured to go into 'stealth mode' so it looks off. I will be logging all the flights as well. Note that your cell phone is merely in sleep (stealth) mode when you turn it "off". So, there's really nothing iffy about what he's doing here. Interesting. This points out what a joke the airline's restriction on electronics has become. For those who don't know, it is not a restriction imposed by the FAA, but a restriction that the FAA allows the airlines to impose on passengers. The real purpose is to prevent passengers from annoying the flight crew with their electronics, and to allow the flight crew to show the passengers who is boss. The last part isn't entirely true, RF signals are subject to constructive and destructive interference just like any other electromagnetic wave. So the problem isn't one person or a few people with a cellphone, it's that nowadays almost every passenger could have one or more devices with 2.4 GHz transceivers all crammed into a relatively small space with the aluminum skin of the plane functioning as a crude waveguide to the cockpit. However the ban on operating nearly all electronics during take-offs and landings is really to make the flight crew's lives easier. That way they don't have to make case-by-case decisions on what to allow. That's the excuse they use, but I still stand by my comments. I might agree with you if there was any evidence that even a few hundred cell phones could do as is suggested. However, there is plenty of evidence to the contrary. The problem is that aviation radios use frequencies in the 100 MHz range while cell phones are in the GHz range -- completely different bands. For a simplified, non-scientific demonstration, check out the tests that the Mythbusters' performed. However GPS signals are in the GHz range, specifically in the 1.2 to 1.6 GHz band. Meaning that multiple 2.4 GHz channels are second order harmonics of the GPS channels. For a somewhat less simplified, more scientific analysis check-out this 2006 article about testing a group from the IEEE did on commercial flights. Interesting, that article seems to make the conclusions that passengers DO use cellphones on aircraft (in violation of the rules), that cell phones transmit RF, and that planes do not crash because of it. BTW, the FAA does not prohibit cell phones, it is the FCC that prohibits them (because the ground infrastructure does not handle airborne cell phones well). Also, it should be pointed out that Europe has allowed cell phones in the air for a few years now, and no planes have fallen out of the sky yet due to phone calls. I already mentioned it's not one being used that's a potential problem, it's the possibility of up to several dozen at the same time. Also if you read the article the main concern is interference with GPS assisted take-offs and landings (like at night or in low visibility). In other words, the parts of the trip when planes are the closest to the ground, as well as each other. I don't know about you, but during those times I think it's pretty important that the pilot of a commercial airliner have accurate position and heading information (Aside: The tower ultimately is in control;but the instructions are relative to current positions so if a plane isn't where the pilot believes it is, bad things can happen).